Relax in style with the Logan Swivel Glider Recliner. 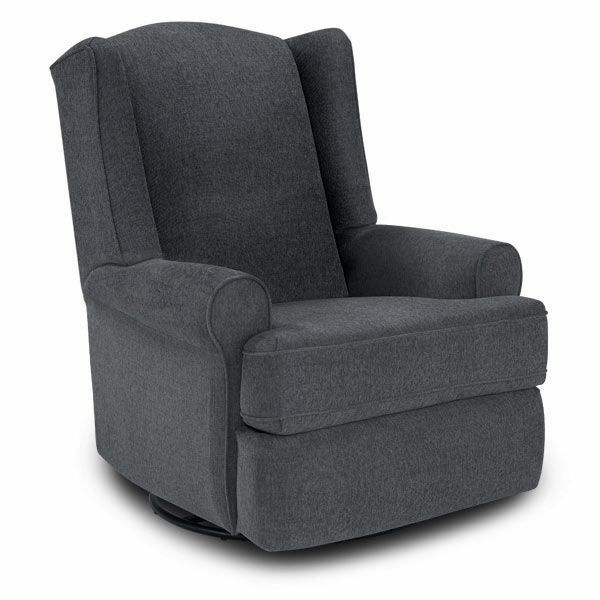 Tasteful rolled arms and wing back design, along with a handsome grey fabric give this recliner its marked appeal. Inside latch release.